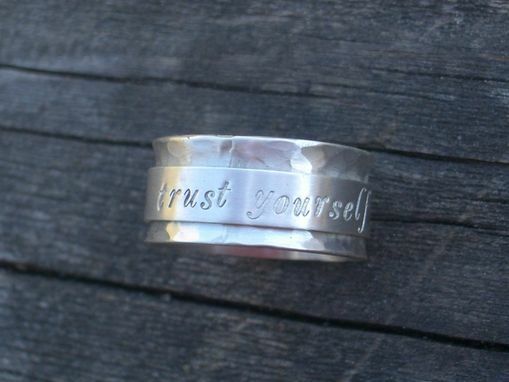 "Trust yourself,'' says this custom ring I made. 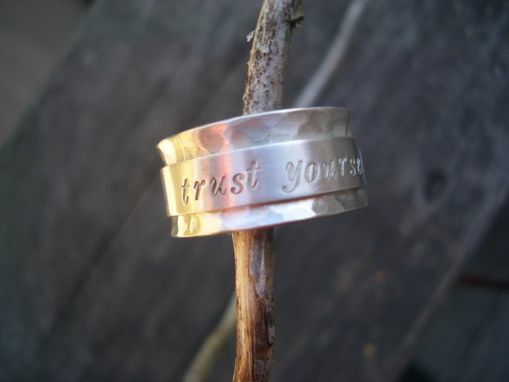 Sometimes, all one needs is a reminder to forge on, such as this spinner ring I hand-crafted from sterling silver. 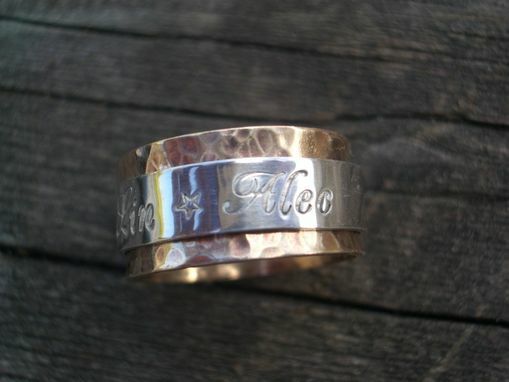 The outer band of this ring is 3/8 of an inch and is just a tad wider than the satin-finished spinning ring it holds. Fun too, right? 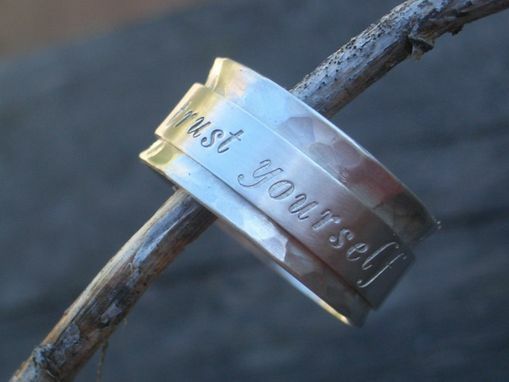 In addition to the option of ordering this ring in sterling or gold, you can also customize your order further by letting me know what words or phrases you wish engraved on the band.